Host your event at our Roots + Wings Creative Campus! Look to us to help find a creative way to celebrate. 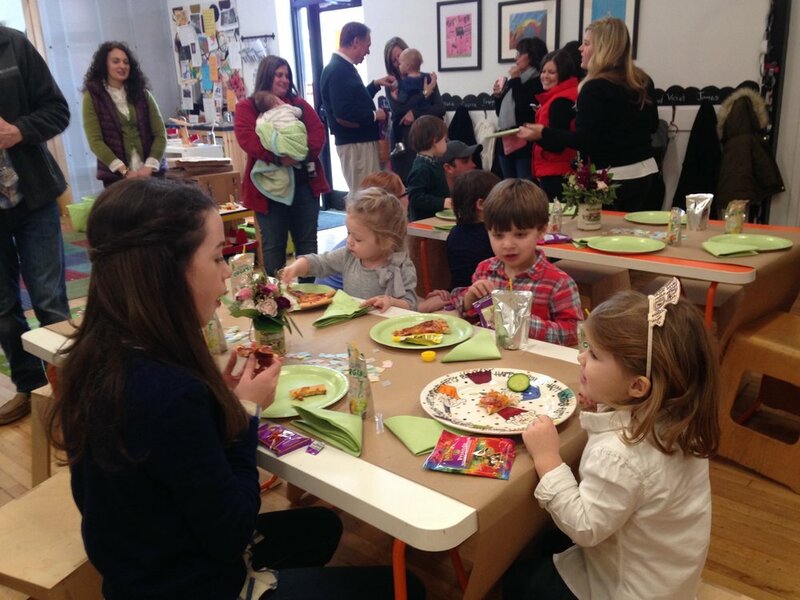 We offer children's birthday celebrations (ages 3 and up) on Sundays from 2-4pm. 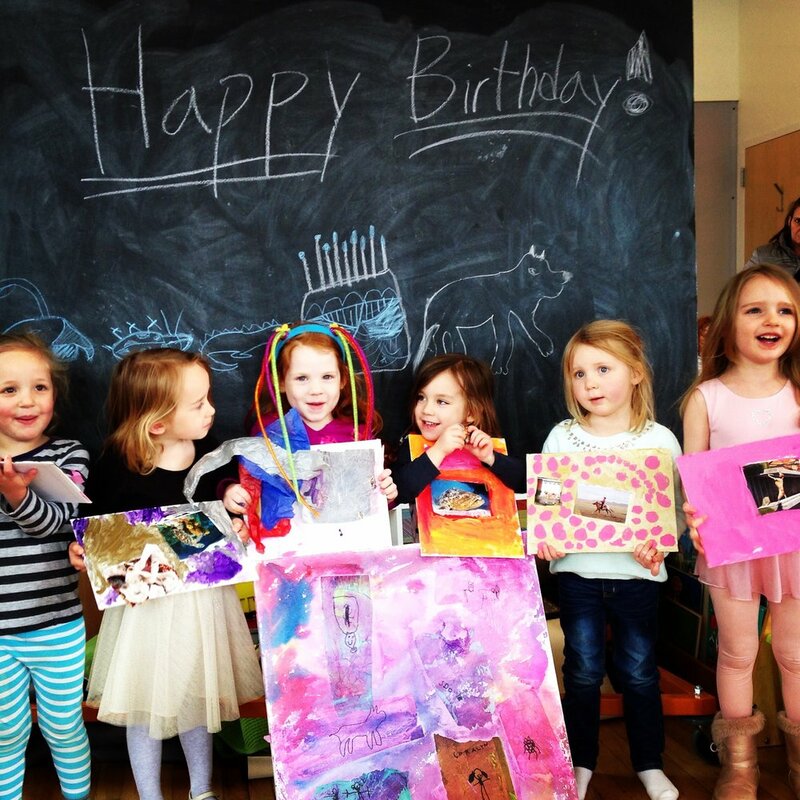 We customize individual projects with your child's help for everyone at the celebration to make and take home. We also do a collaborative work of art with all the children in attendance that the birthday girl/boy can take home with them! Our celebrations are 2 hours long. We split the time between making time and play/eating/celebrating birthday time. Your last hour of celebrating does include access to our outdoor playground space if desired! Host parents are welcome to bring food and drink to share with the party attendees. We allow 15 minutes of set up and clean up on either side of the 2 hour window. questions? connect with us below! 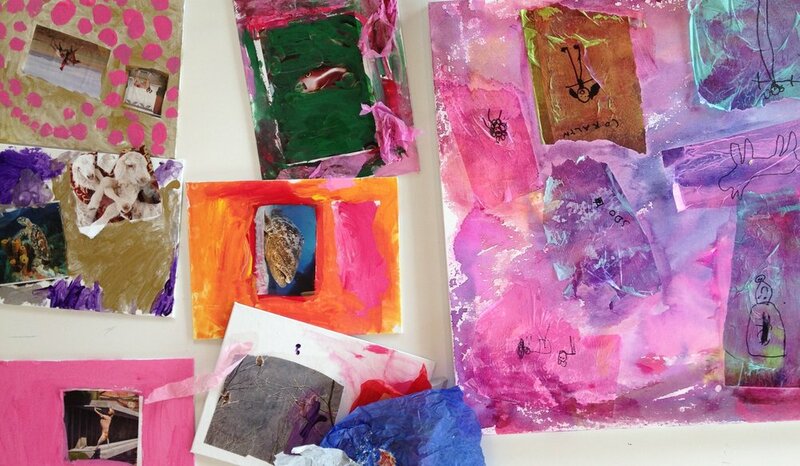 Gather your friends or family and spend a few hours creating together! We can create a workshop event for Birthdays, Community organizations, Family reunions, Schools, Wedding or Bridal Showers, Girls weekends + more! All of our programming is available for any combination of ages, abilities and group sizes. 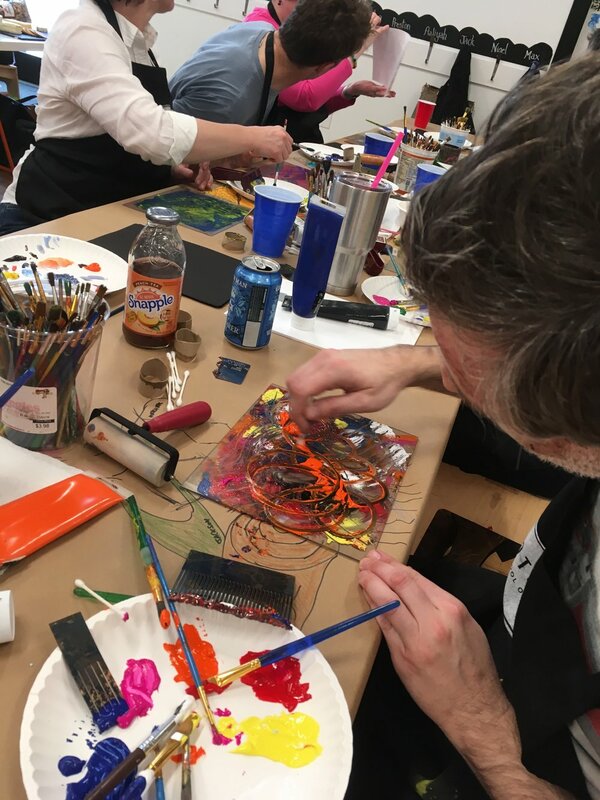 Printmaking: Participants will create individual collograph plates, and print them onto multiple surfaces, including one large collaborative materials for the host to keep! Collage and chalk - Individual Participants will create individual mixed media works using collage and chalk pastel and other mixed media including image transfer techniques. Collage and chalk - Group collaboration Participants will create one large work as a collaboration using a variety of mediums to add layers to a beautiful chalked panel. This is a great choice for casual creating while chatting and eating together! Altered books: Participants will work with a collection of old books to cut, tear, drill and otherwise alter them into a new state of 3-dimensional sculpture! NONE of the above project require ANY previous artistic experience...ANYONE can do this!!!! Hosts can bring food and drink and enjoy celebrating together. For kids we start with a 1 hour reservation time, for adults we start with 2 hours. We can always do longer experiences if desired. Connect with us below for larger group pricing. RESERVE YOUR EVENT: to reserve, please click below and pay the minimum deposit for 8 people. Our Creative Campus classroom spaces are the perfect setting for your fundraiser, lecture or reading event. We have a 70″ screen available for images, video or internet if necessary, as well as three different rooms to choose from OR you could choose to use all three rooms!